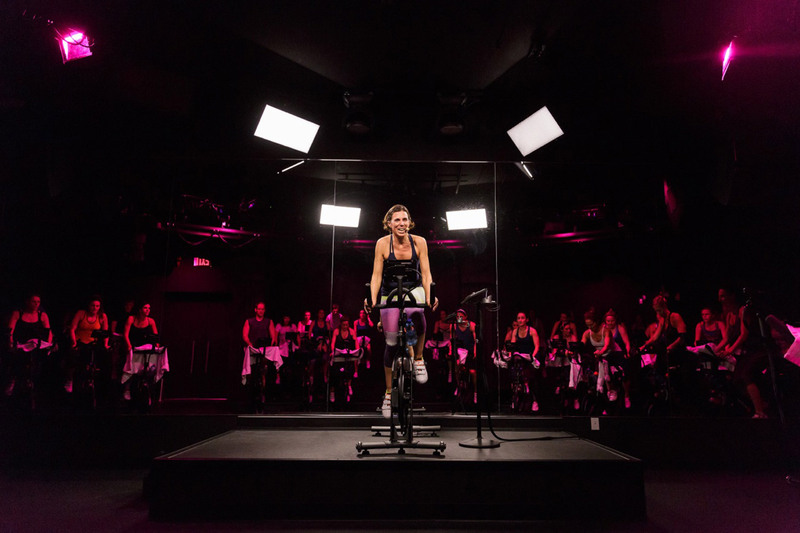 In developing a NYC flagship site for their live and on-demand, indoor spinning classes, the Peloton brain trust recognized the need for a cutting edge video broadcast studio for their streaming program. 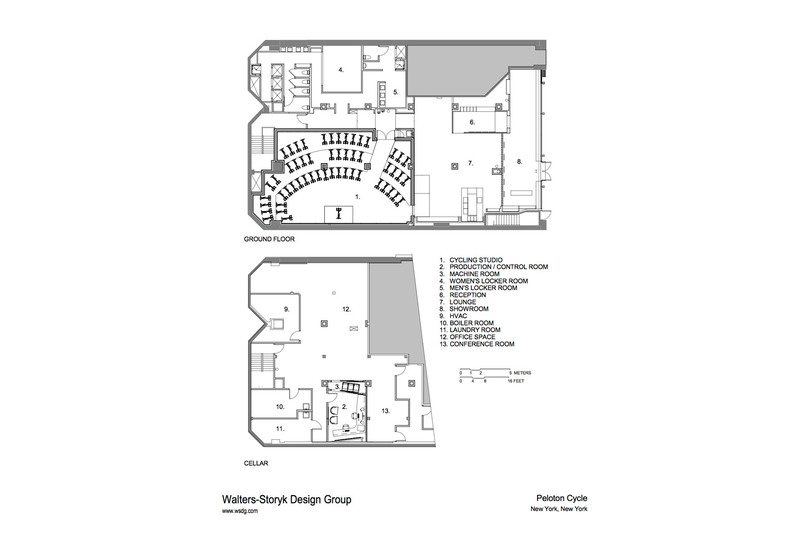 The company founders engaged WSDG to create a broadcast quality acoustic and isolation design and, an audio/video production studio with professional lighting and systems integration. 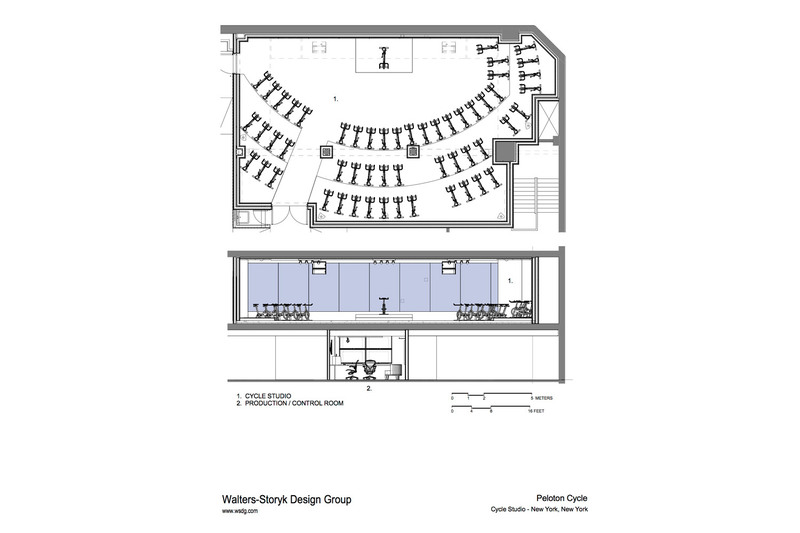 The resulting Production Control Room and 60-bike Spinning/Streaming Studio are key components of the 8000 square foot complex. 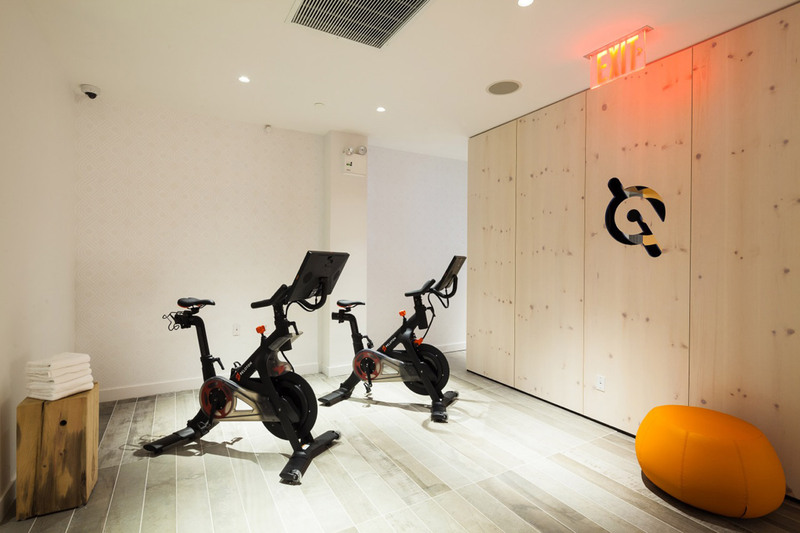 Located NYC’s trendy Chelsea District, the Peloton Spinning Studio also features spa-quality ambience, a refreshment lounge and, a sports fashion retail shop. 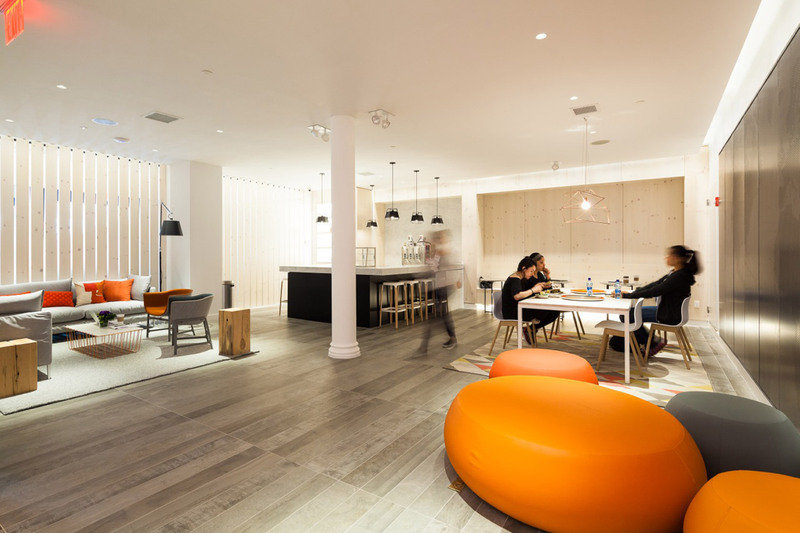 The Peloton studio introduces a new level of broadcast quality video through the internet. The space is tailored to enhance the image quality of the webcast while maintaining the proper ambiance for in-house spinning enthusiasts. The 300 sq. 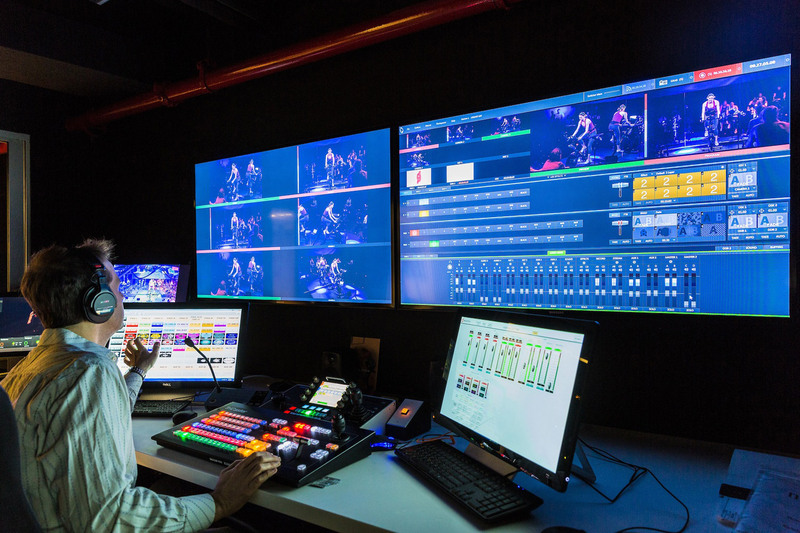 ft. Production Control Room sports a state-of-the-art Newtek Tricaster production switcher, a Telemetrics robotic camera controller connected to 3 Sony PTZ cameras and a Telemetrics track and PTZ camera which provides high end and ultra steady camera moves and shots. PCR video display is provided by two 55” LCD monitors. The audio system is run by a fully-automatable Biamp Nexia console coupled with a Martin Engineering DSP, Genelec monitors and Sennheiser wireless microphones. The lighting system is controlled by LightJockey™ via a Windows-based USB to DMX interface. Ipod docks and a full-blown Nexo line array complete the equation in the 1500 sq. ft. Spinning Studio for unrivaled audio quality from the beginning to the end of the chain.